Will it be East Coast or West Coast? The big dogs may be off the board in NBA free agency but the market for Kyle O’Quinn is still there. 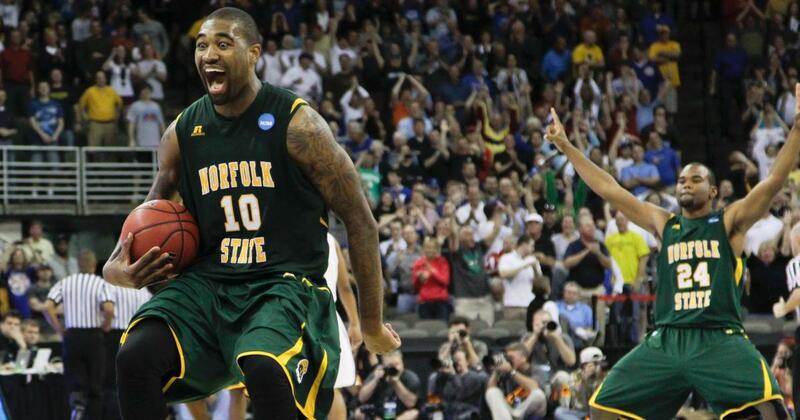 The former Norfolk State star was earlier reported to be a target of the Philadelphia 76ers. The Los Angeles Clippers have now entered the picture. Clippers coach Doc Rivers and president Lawrence Frank had dinner Tuesday night in LA with Knicks free agent center Kyle O’Quinn, per source. The two sides will continue to talk. O’Quinn met with Doc Rivers and Lawrence Frank in LA on Tuesday night according to Clippers beat reporter Brad Turner. The Clippers recently lost big man DeAndre Jordan to the Dallas Mavericks, the final crumbling of “Lob City.” After the 76ers traded for forward Wilson Chandler earlier this week, the Clippers might be in the driver’s seat. One would assume the dinner wasn’t like the spread O’Quinn enjoys on his “cheat days” from his diet. Kyle recently appeared on the Player’s Tribune taking on an onslaught of entrees at a famous pizza restaurant. It should be noted that O’Quinn’s “cheat day” stands in contrast to his recent diet change of giving up meat. Back to hoops. O’Quinn doesn’t draw the headlines of the All-Star movement we’ve seen in the first three days of free agency. However, people around the NBA view him as a solid contributor and a proverbial “energy” guy. New Orleans is reported to also have interest in O’Quinn according to HoopsHype writer Alex Kennedy. The Pelicans just lost DeMarcus Cousins, its starting center, to the Golden State Warriors. The Clippers and O’Quinn are expected to continue talks.